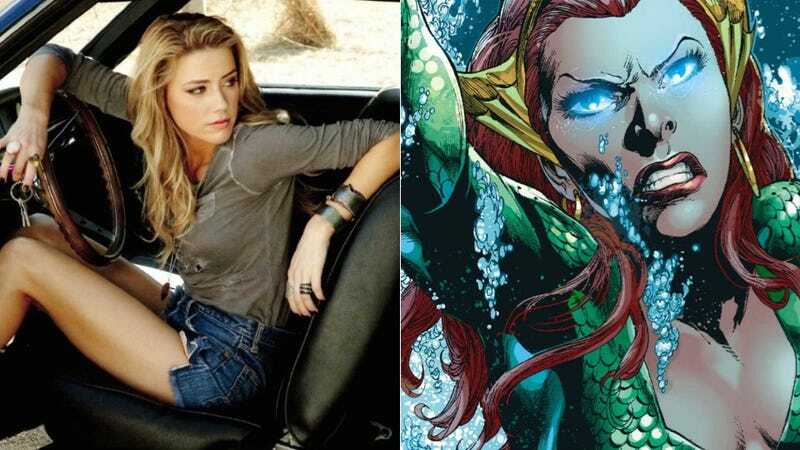 Amber Heard is in talks to join the DC cinematic universe as Mera, the aquatic love interest of Aquaman. THR says her character would first appear in the Justice League movie before starring in Aquaman with Jason Momoa. Then I’m super-excited to see what they do with this.